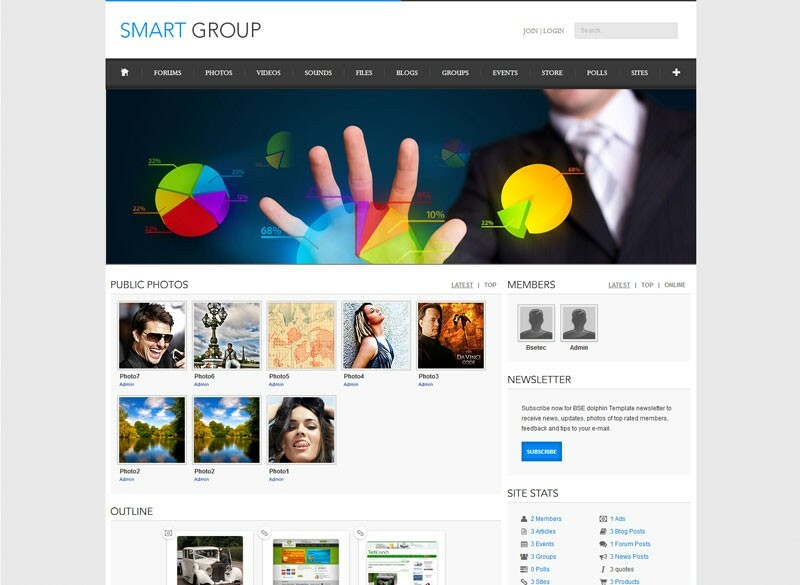 The Free Smartgroup Dolphin template can be the right portal to sum up all the events in your smart group. Responsive layout style is designed to make you enjoy the site without the hassles of scrolling and zooming. Take advantage of this simple yet impressive template functionality to build an incredible social platform. nice. thanks for giving it free. I dont know how BSTEC turned to Boonex community, but they did REVOLUTION in Dolphin desighn ! Cheers !!! And Thanks for it ! Thank you very much for your appreciation, it really motivates us to do more. Excellent theme. One remark, however: guys, please update the versions of Bootstrap and flexnav you're using. They are outdated and buggy. For example, lightbox/fancybox don't work with bootstrap ver.2.3.0. Upgrading to 2.3.2 solves the problem. Thanks for the theme!! Awesome work and for free!! width: 74px; <---- This is the line to add! Ok! These guys are offering this splendid responsive theme for FREE. And then give a one day turn-around to support it! Who DOES that?! Almost none does that! So Bsetec? I will be watching your items.. and see more when you offer something I need, I wont think twice about getting it! Your willingness to support even a 'free' template, and so quick, at that, is remarkable! Thank you for sharing with the community. I will closely follow all your products. Thank you very much for your appreciation :) Please stay tuned for more updates..